California has an “implied consent” law. This means that when a driver in California is lawfully arrested on suspicion of DUI, that driver has already “consented” – by obtaining a California driver’s license – to submit to a chemical DUI test after the arrest. If your license wasn’t issued in California, just driving in this state “implies” your consent to testing. 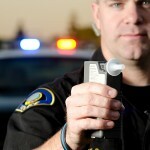 If the police believe you’re intoxicated by alcohol, you’ll usually be required to take a breathalyzer test. If you are believed to be under the influence of other drugs, you’ll probably be asked to provide a blood sample. A urine test may be substituted if the suspect cannot give a blood sample for medical reasons or if other testing methods are unavailable. 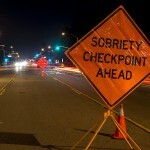 If you are arrested for DUI in Orange County, contact an experienced Orange County DUI defense attorney immediately. A police officer is only required by law to give you one opportunity to test. If you refuse, even if you change your mind later, you can face an additional “enhancement” of your penalty if you’re convicted for DUI. The police may then take your blood “by force” by obtaining a warrant or by showing why they believed a warrant wasn’t needed. For a first DUI conviction in California with a refusal enhancement, 48 hours in jail may be added to the penalty, your license can be suspended for a year, and instead of the three-month education and counseling program, you’ll be ordered into the nine-month program. A refusal with a second DUI conviction (within ten years) may add 96 hours in jail to your sentence, and your driver’s license will be suspended for two years. A third conviction with a refusal (within ten years) adds ten days to your sentence, and your license will be suspended for three years. 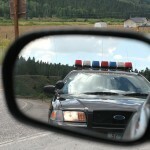 A refusal itself does not prove that you are guilty of the underlying DUI charge. If you are arrested and accused of DUI in Orange County – whether you submit to a chemical DUI test or refuse it – you’ll need the help of an experienced Orange County DUI defense attorney, and you’ll need to make the call as quickly as possible.